On 22 March, the Women and Equality Committee examined whether the support put in place for fathers in relation to the caring of their children is adequate. This new inquiry was created as many fathers find workplaces are not friendly towards family-friendly working and are uncooperative with parents’ responsibilities to their children. The 2017 Modern Families Index has shown that 44 percent of working fathers have lied to their employer about their family- related obligations. So what are the employment rights that a father is entitled to? 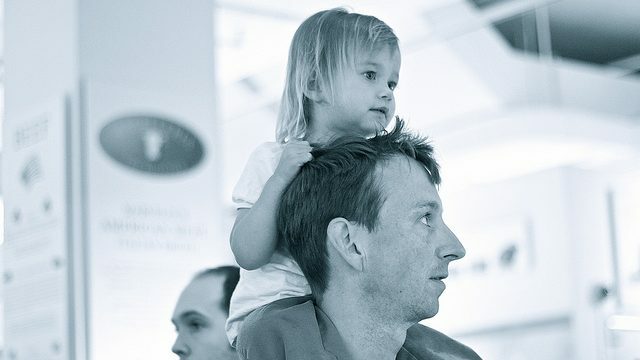 Paternity leave is a main focus of equality between men and women in the workplace. Employees (including women) can take paternity leave if their partner is expecting a baby, if they are the biological father of the child or the mother’s husband or partner, and if they have worked for 26 weeks ending with the 15th week before the baby is due. Unlike maternity leave, paternity leave cannot start before the baby’s birth but you can join it with annual leave before the big day. From 2 April 2017, the parental leave rate is £141 per week or 90 percent of the father’s average weekly earnings (whichever is lower). Fathers can have unpaid time off accompany the pregnant woman to two pre-natal or surrogacy appointments (five adoption appointments). To give parents more flexibility in caring for their children, shared parental leave is also available. Up to 50 weeks of leave (37 paid) weeks, can be shared by parents. Like paternity leave, to take shared leave, one parent must have worked 26 weeks ending with the 15th week before the baby is due, or the adoption matched. Yet a study conducted by My Family Care showed that only 40 percent of employees were encouraged to take a shared parental leave by their employer. In 2017 many fathers want to participate in their children’s lives as much as mothers. However the fear that taking a shared parental leave will affect negatively a career and that it shows a lack of commitment at the workplace is still very present. Despite the government’s attempt at bringing more support for fathers, the culture at work needs to evolve if family-friendly policies are to become effective.